I have bought and sold several properties in my life and never has the process been easier. Jack is professional, confident and very responsive. The sale of my home was made simple that was handled by Jack with minimal time from me. Having Jack allowed me to settle into my new home worry free! I wish I had known Jack sooner to help with my prior sales! Any future transactions, Jack Klemm will be my realtor!! Our experience with Jack Klemm was amazing! He handled our sale and also the purchase of our new home with great care and professionalism. He was always available to answer any questions or concerns we had and he was quick with his responses. Because Jack is so knowledgeable in his field, it put us at ease during the entire process. Jack genuinely cares and that shows during the process and even the transactions are complete. This was our fourth move but our first experience with jack and we can’t say enough great things about him. In our opinion, he is the best realtor. If we should move again, we’re calling Jack Klemm to get the job done. I recently bought two homes in a 1031 Exchange. Such an exchange can be complex given the time lines and use of exchange funds. I particularly appreciated Jack’s knowledge of the market. He stayed with me until we found just the right homes I wanted. What I liked most about Jack was his calm demeanor. When glitches arose in the lending and escrow process, Jack worked through them as I fretted on the sidelines. I couldn’t have asked for a more competent agent for making buying two properties under tight timelines steadfast a pleasure and fun. He was in front of the process all along. That took away much of the stress of a buyer, like me, who lived in another city. I had to know there was a broker on the spot to represent me. The level of communication via phone and internet was timely and detailed. I highly recommend Jack Klemm as the broker to handle your real estate needs as a buyer or seller. We have had the pleasure and benefit of working with Jack Klemm on three different occasions in Tracy & Bay Area. He has always exceeded our expectations. He is very knowledgeable, thorough and always communicating. We are so thankful that we were able to have Jack as our agent. We used different agents in other areas and they did OK, but they lacked Jack’s expertise and professionalism. We highly recommend Jack Klemm as your real estate broker. I have worked with Jack on selling 2 of my homes here in Tracy; one in 2005 and most recently in May 2013. 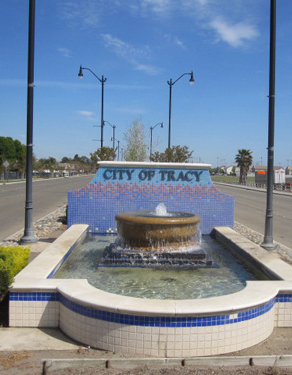 His vast knowledge of the Tracy real estate market brought me top dollar on both of my homes. Jack kept me informed during the whole process and made it ‘stress free.’ I highly recommend Jack Klemm to friends and others looking to sell or purchase a home! I would like to thank Jack for great service in selling our home. I spent 35 years in customer service and I learned how to pick people in the service area with an honest ability to take care of my own needs. Every now and then, I have come across someone willing to go that extra mile for their customers needs. I put Jack Klemm at the front of that line. In a time where customer service is lacking, I felt like we found a diamond in the rough. Thank you for going above the rest to service our needs. Should any customers want a reference, I would be proud to speak to them on our experience. Jack Klemm and his team are simply the best!!! He provides the absolute highest standard in professionalism, punctuality, accessibility and friendliness during every encounter . . . whether it be a phone call, text message, email or meeting. He truly made our home buying experience completely stress free and easy. We couldn’t be happier!! Jack is the consumate professional. He is courteous, a vigorous advocate, and guided us through some very difficult negotiations when we recently sold our home in Tracy. He made a very stressful time doable – and we walked away very happy. Jack returns phone calls and emails so promptly that I truly felt he was concerned with us, and us alone. I would never have wanted to go through negotiations without Jack Klemm on our side as he looked out for our best interest from start to finish. We have had the benefit of Jack Klemm’s real estate EXPERTISE when selling 2 of our homes in Tracy – during the best of times for real estate (in 2003) and the worst of the real estate market (in 2010). On both occasions, Jack’s direction and recommendation were invaluable and brought us quick & attractive offers that resulted in successful sales. He is truly an expert in his field – knowledgeable, professional and every detail handled properly. He has our highest recommendation! My wife and I purchased a home in April 2010 and we would like to express our sincere appreciation to Jack Klemm. The integrity and business savvy that Mr. Klemm brought to our purchase was amazing from the beginning to end. He was prompt in every meeting and extremely quick in answering any concerns or questions as he walked us through the process. We will and have recommended Jack to anyone that is beginning the process of home purchasing. We truly do not have enough good things to say about the many transactions we have done with Jack Klemm over the past 10 years, from selling/buying our primary home to helping purchase rental properties. Simply put, he is the best. In addition to being extremely professional, he is very knowledgeable about the area and industry. We find positive attitude, professionalism and sound advice to be invaluable. If you are looking for a real estate broker, we highly recommend Jack Klemm. My wife and I just had the pleasure of purchasing our first home together. We were relocating from the Bay Area and we were working with an out of area agent and he didn’t make us feel comfortable of his knowledge of the Tracy area. Needless to say, my wife and I were discouraged ….. that is until we met Jack Klemm. Jack’s knowledge of real estate and the Tracy area is second to none. Jack was prompt and professional. I highly recommend Jack Klemm to anyone thinking of purchasing a home! Awesome …..
Kelli and I wanted to Thank You for your help in selling our house. These are big decisions for a family and it was a lot easier working through the process with you on our side. You have helped us on the 3 homes we had over the years in Tracy and can’t Thank You enough.